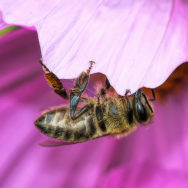 How often do honey bees sleep in the flowers? Do honey bees sleep? Of course they sleep!